Nagas are interested in politics. Discussion almost always veers towards politics when socialising and friends meet to sip tea and other beverages. We cannot really ignore politics because of how it affects each of our lives. Politics actually has a culture of its own which is broadly divided into – Parochial, Subject and Participant. This political culture is strongly shaped by our attitudes and values. Nagaland needs the right values and attitudes to develop the right political culture. So which political culture does Nagaland follow? Opinions may vary, but read on to find out. It is common knowledge that human nature expresses itself in the form of certain values, beliefs and emotional attitudes which pass on from one generation to another, with minor and major modifications to eventually constitute the general culture of a society. Thus, political culture of a country consists of the people’s political attitudes and beliefs, norms and practices and their orientation towards politics. It defines the relationship between citizens and government, and citizens to one another. Beliefs about economic life are also part of the political culture because politics has a remarkable impact on the economic progress of a country. The term was popularized by leading American political scientists like Gabriel Almond and Sidney Verba. The term political culture is a very important concept while analysing any political system. It has a great influence in the way people see their political administration, their expectations and also helps in shaping people’s roles and behavior within their political world. The concept of political culture can be broadly categorized into three – Parochial, Subject and Participant. People exhibiting parochial political cultureare confined to the local and internal world of their own family or group, hardly identifying themselves with the larger political system. Here the people are ignorant of their political governance and therefore they do not have any orientation towards their political set up. 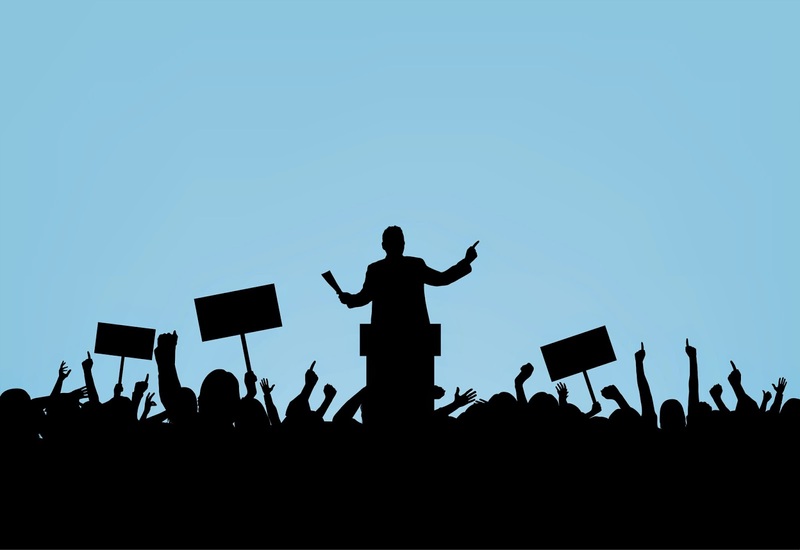 Subject political culture on the other hand, is where the citizens are aware of the existence of a political system but they may have very little connection or interaction with their political system. The reason for this is the lack of opportunity and interest. Under such a type of political culture, the citizens may not be satisfied with their political governance which may be corrupt, irresponsible or even inefficient. Therefore, citizens are never active participants but they are undeniably affected by the system. Countries like United States of America, the so called successful democracy, fall under the third category which is a participant political culture. The citizen’s political culture is strongly based on participation, especially in the input functions, as in, the demands or expectations of the people from the governing authority. The individuals are very active as political participants and they constantly interact with the political system. These individuals have high expectations of their political administration and are aware that their participation will bring about the changes needed. Citizens have the responsibility to choose their officials thoughtfully and wisely, and likewise the elected officials are accountable to the people. However, besides the above classification, we often witness a mixture of the three political cultures in many societies. Now, if we are to analyze the Indian political system, we undoubtedly fall under subject political culture. This is one of the reasons why we still have to strive to achieve what is known as “Successful Democracy”. In India, our political culture is characterized by non participation in the formation of government or ineffective political orientation. Weak governance, on the other hand is also another factor for inefficient democracy. In our society, the mechanism of democracy has become more destructive rather than constructive. From what we have experienced, it is a kind of conversion from democracy to mobocracy, where all that counts is number. The right means needs to be adopted in order to achieve our end, which has to be successful democracy in this prevailing phenomena. So, if successful democracy is our end, then, democracy itself is the means which will comprise of the various techniques of democracy like franchise or suffrage, representation, political accountability, etc. Persuasion is another inevitable technique of democracy which, used in a proper way, will bear effective and favorable results. Mahatma Gandhi showed the best example of how to make effective use of the means of persuasion during the freedom struggle. If by making use of this particular tool, the Indian state can establish a totally different governmental system, i.e. a transition from colonial territory to a new sovereign state, then, why not make use of it in reforming the already established democratic order. Although each democracy has its unique political culture, various studies over the years have shown that the political culture of successful democracies share several common characteristics which are a high level of political awareness, a strong sense of competence, cooperation combined with rational participation in civic and political life. Therefore, it is evident that all democracies are strongly influenced by their particular political culture. For instance, in his classic work, ‘Democracy in America’, Alexis de Tocqueville argued that American democracy was shaped by Americans’ values and attitudes. This practice, which stemmed from the American political culture, gave the Americans a valuable experience on how to best run their democracy. Thus, a study of different political systems of the world, whether western and developed or eastern and developing, leaves the impression that political culture plays a very important role in the sphere of political stability and change. The builders of a state should keep in view that the political system should be in consonance with the pattern of their political culture. A good understanding of a country’s political culture can help make sense of the way a country’s government is designed, as well as the political decisions its leaders make. A political system would not get the required quantity of stability if its institutions clash with the norms of political culture. Apter rightly said, “high congruity in the political culture equals great stability in the political system”.